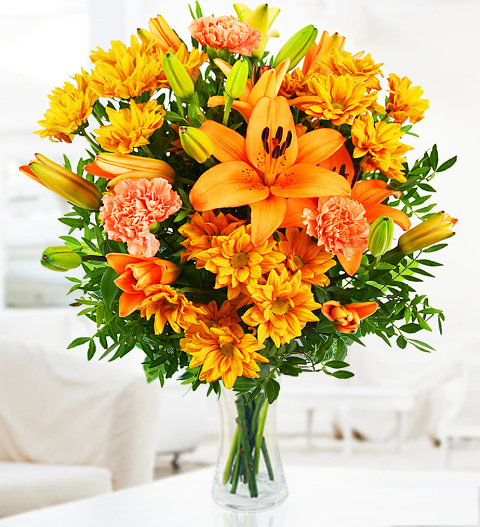 This wonderfully warm bouquet includes Chrysanthemums, Lily la Orange, Carnations, and Pistagia. An excellent choice for men and women! Our team of skilled Spanish florists have ensured that your loved ones will receive nothing less than the very best quality flowers in this bouquet. Available for next day delivery in Spain, you can confidently send this bouquet for any occasion!